Coyle began designing and implementing cruise mystery shopping programs for Royal Caribbean, and other cruise lines, several years ago. Since that time, professional cruise quality consultants from our network have been aboard the inaugural launches of Royal Caribbean’s new ships, Oasis of the Seas and Allure of the Seas. It is certainly wonderful to be among the first to sail on these state-of-the-art ships, to observe new and exciting cruise line developments and to marvel at their engineering. More importantly, though, these sails provide a front-row view of how Royal Caribbean is staking out the high ground in the cruise industry. 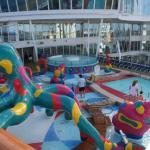 As you may recall in our earlier blogs, Oasis of the Seas was a ray of sunshine after a long dark period in travel. The impact of a significantly new hospitality product coming to market in late 2009 could not be underestimated. For the two years preceding it, hospitality news was dominated by hotel foreclosures, low occupancies, layoffs and uncertainty. And while the arrival of Oasis certainly had an impact on jobs and on the local hotel markets it served, the wake it left in terms of perception was unmistakable: the recession might, in fact, be ending. Now, a year later, comes Allure of the Seas, a remarkably similar ship in size and purpose. This time, the environment is different though. The jobless rate seems to be easing, however slightly, occupancies are pushing higher and many hotel markets are experiencing real growth. If the recovery after 2001 taught us anything, it was that demand for travel never goes away. 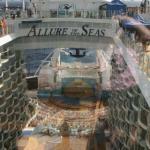 It is no wonder then that Allure has already been chartered and that Oasis is commanding booking premiums. 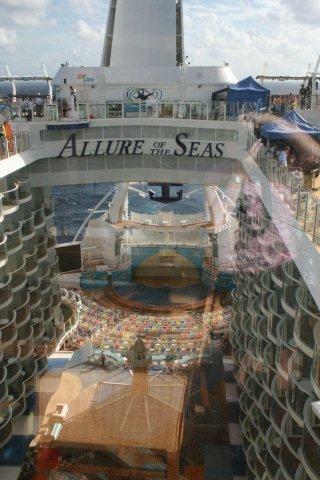 Allure of the Seas is simply awesome. The way the ship is parceled into neighborhoods creates intimacy. Every inch in the stateroom counts, and Royal Caribbean has listened to its Oasis passengers by making guest experience improvements that include simple things like better location of power outlets. What struck our group of cruise consultants most, however, was what hasn’t changed at Royal Caribbean, and what creates such a market advantage for the cruise line. Let’s start with something called “Common Ground.” Aboard each inaugural sail the line’s thousands of travel partners. All are invited to Common Ground – an open forum for travel agents to ask question and air a gripe or two. Royal Caribbean puts the biggest of the brass at these meetings, including Chairman Richard Fain, CEO Adam Goldstein, Vicki Freed and Lisa Bauer. To see where these folks rank, click here. Travel agents are a gregarious bunch by nature and, if nothing else, survivors. The questioning is direct, blunt and no-frills. 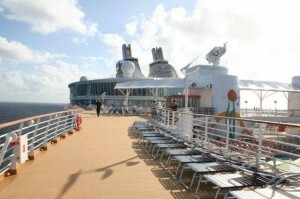 Subjects such as commissions, distributions and port choices are discussed, and the Royal Caribbean team is honest. Attendance at these events is always high, and it’s easy to see why. More than one travel agent pre-cursored their question with how good the company is at listening. In the age of social networking, where most companies engage their customers at the lowest cost, Common Ground brings Royal Caribbean and their partners face-to-face, old-school style in a town meeting atmosphere – and Royal Caribbean picks up the tab. There are also activities aplenty that bring management face-to-face with their travel partners. A table tennis tournament with Adam Goldstein draws a crowd each time, and Royal Caribbean management are pretty much everywhere. So have things changed in travel”? To coin a certain politician’s catchphrase: “You betcha!” But what stays the same at Royal Caribbean is even more telling. Taking care of your vendors and partners is as important as taking care of guests. This helps explain why best-in-class entertainers like Taylor Swift want to be a part of the Royal Caribbean experience, as does Sony Pictures, who used Allure of the Seas for the filming of Jack & Jill while we were onboard. 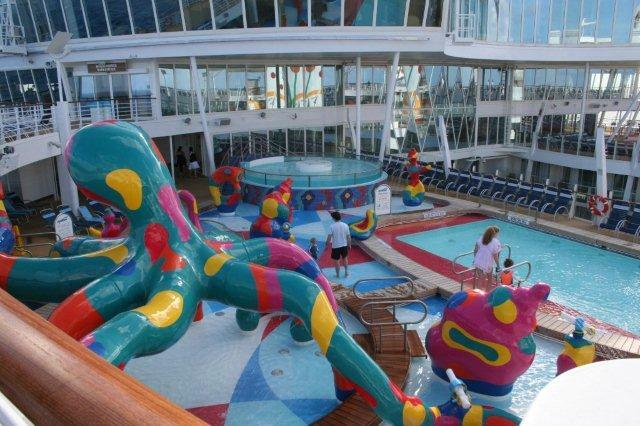 High-caliber organizations want to associate with Royal Caribbean, but not just because the ships are new.